The Nightlaser Tecnologia is a national reference in the commercialization of products for the defense market, meeting the North corporations to South, with what there is best in the world. The company went through strategic reformulation, and now effectively also enters to the cicilian market, developing a network of retailers and sales representatives, focused on permitted products, as Beretta Pistol caliber .22LR, Beretta and Benelli Shotguns with barrel over 24″, Beretta rifle caliber .22LR, Kydex holsters, tactical flashlights, and other products supplied by Beretta Defense Group and other trading partners. Here in our blog will keel you informed of the main innovations of the sector and of our group. 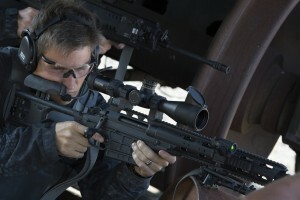 Over the past 67 years, the Steiner military scopes are produced in Germany with rigorous military specifications and constantly tested on battlefields and in competitions around the world.